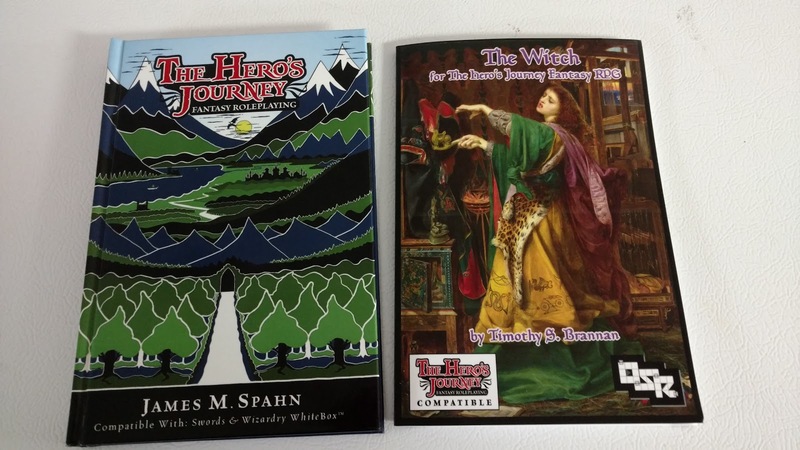 The Witch: Hedgewitch for the Hero's Journey RPG is today's DriveThruRPG/RPGNow's Deal of the Day! The PDF is marked down to $1.49 for the next 24 hours. Pick up a copy to use with +James Spahn's fantastic Hero's Journey RPG or even with Swords & Wizardry Whitebox. I was just wondering if there is much difference between this Witch class and the two I already own, The Witch: Aiséligh Tradition for S&W and The Witch for S&W Light? I see the description points out this has the gnome for THJ, but I wanted to get your thoughts. Thanks and I hope to see you at the Tavern tonight! This one is re-written for the HJ rules. I am designing these books to be used together so there is minimal overlap between them.